PARCO makes agreements with tenants whereby PARCO takes responsibility for attracting customers and running promotions, while the tenant handles sales activity. By working across Japan to create commercial spaces where people can gather and have fun, we are winning the support of customers and developing a firm customer base. 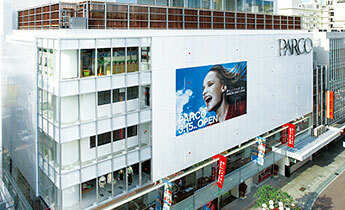 One of the things that really sets PARCO apart from other companies is our equal partnership with our store tenants. These partnerships, which are based on trust and common values, are mutually beneficial and by growing our business together with those of our tenants, we are supporting our own continuous growth. The production of shopping complexes involves marketing in the area of the store, planning the building from the proposal stage onward, the selection of tenants and design of environments that fit the concept, and the store's management. At the same time we enhance a plethora of publicity and promotional activities and through our management of daily maintenance, support the safe and easy operation of shops. In addition, we are constantly creating fresh sales spaces by promoting their remodeling. This integrated production supports the creation of attractive commercial spaces. To continue to produce new ideas for the market it is necessary to foster new talent. We see the growth of up-and-coming fashion designers and creators and that of our tenants as being key to PARCO's growth. We work hard to discover and incubate new talent to support that growth. 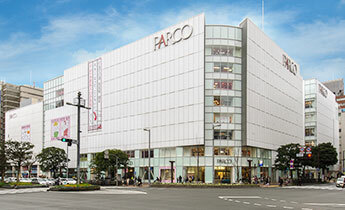 PARCO is expanding the number of locations implementing trial shop openings from new tenants and leveraging store expansion. It is also actively developing shops in new commercial areas through the use of its tenant network. 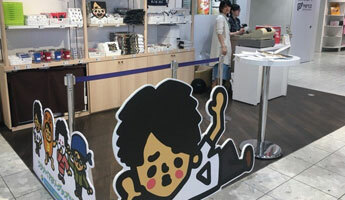 The first physical stores selling official merchandise for popular Youtuber Mahoto Watanabe were launched for a limited time in PARCO stores. This merchandise was on sale exclusively at PARCO’s Ikebukuro, Sapporo, Sendai, Nagoya, and Fukuoka locations. The next generation of designers is pursuing refined craftsmanship yet struggling to find opportunities to grow. For this reason, PARCO hopes to support the talents of those who will lead the way to the future of fashion by providing designers with opportunities to grow their businesses. PARCO supports the global activities of young Asian fashion designers. The photo above shows prizes being awarded to participants of Asian Fashion Collection’s first “High School Contest,” a fashion contest for high school students. 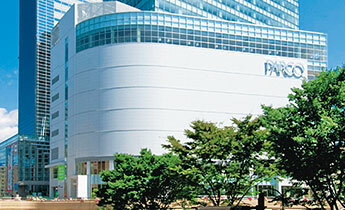 PARCO provides a venue for young creators working in a variety of fields to exhibit their creative works. The Shibukaru Fashion Show for 2017, “Under Construction,” was held at a construction site at the Shibuya PARCO as part of Shibukaru Matsuri, a presentation event for the next generation of young women creators. We are experimenting in new areas to realize our Omni Channel strategy, such as using tenants' shop blogs and apps as tools to improve customer service. We are collaborating with domestic and foreign organizations in a wide range of areas and providing unique business-growth opportunities for our tenants. PARCO offers a variety of Web-based services to optimally highlight the appeal of our stores. We provide full-service support to customers to empower shop staff as communicators of store information. The way we communicate information is rapidly changing, and PARCO is strengthening initiatives that leverage information and communications technology (ICT) to effectively and efficiently communicate with tenants and customers. PARCO Card, our house credit card, and POCKET PARCO, the official PARCO smartphone app, are just two of the ways in which we provide service to customers at PARCO stores. Special sales for cardholders are organized throughout the year and we offer further enhanced services to Class S card members. Online, PARCO offers a unique service called PARCO ONLINE STORE, which enables customers to both shop online and reserve items at PARCO stores by connecting withOn PARCO Shop Blogs, where staff share information directly with customers and which are found on each PARCO store website. POCKET PARCO users can also avail of a range of benefits, and all these service enhancement tools are compatible with each other and with shop social media platforms. 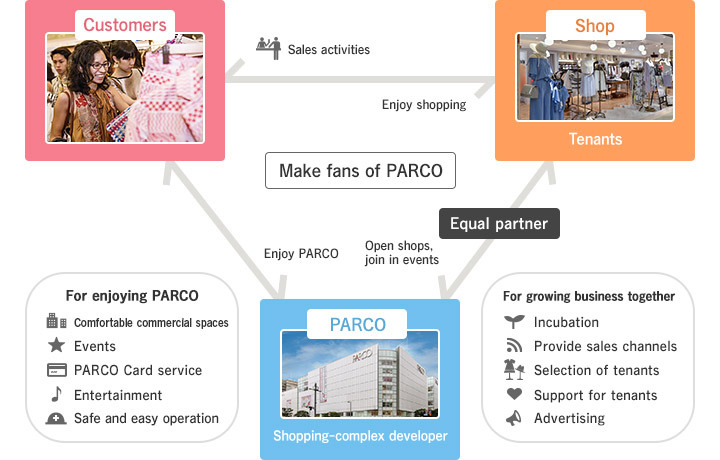 Through the introduction of a variety of web services, PARCO ONLINE STORE is helping reduce the amount of administrative work done by shop staff, freeing them up to spend more time with customers. These services also include web-based training and support tools to help our tenants’ shop staff develop their customer service skills. By leveraging our expertise in shop development, we are pursuing new store development and conversion. We are deriving high-value-added plans on a case-by-case basis and promoting attractive shop development. Development of new shopping complexes within, for example, urban redevelopment projects in the vicinity of major commuter stations. 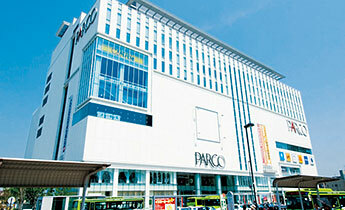 At PARCO, we use our extensive expertise to transform and improve existing stores.